What is the process of ordering products from DWL? Consultation either at customer’s home or one of our showrooms to discuss and confirm the required specifications. Quotation emailed/posted through to you soon after the appointment. Once all queries and specifications are finalised, you instruct the Project Consultant to place the order. Project Consultant completes the order form and sends to you to sign off along with other relevant forms. You pay an initial 40% deposit upon ordering, 50% to go into manufacturing and 10% once installation is complete. Once first 40% deposit is received, the project is handed over to one of our surveyors, who will be in touch within 10 days. Full site survey is carried out taking final measurements and confirming final specifications. Survey document is either signed off immediately or for more complicated projects, it is drawn up at the office and sent through to you by email to sign and return. All products are ordered and a lead time is provided as soon as one is received from our suppliers. Second 50% deposit paid, manufacturing commences and in due course, installation date given to you. Balance invoice of 10% is sent to you to be paid once installation is satisfactorily completed. Once this balance payment is received, you receive your guarantees and certification in the post. No, we directly employ all our installation teams on a full-time basis. They use our company vehicles which are recognisable by our company logo. We also have service engineers for any problems, remedial work or service calls our customers may have. What different types of glass are available? There are many different glass specifications on the market but generally, these can be split into the following types. 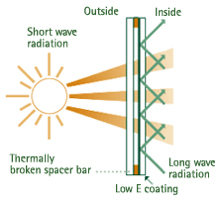 Standard soft coat glass with Low Emissivity (Low E) glass on the inner pane. An additional pane of glass for improved thermal and noise reduction values. Will cost approximately 20% more than standard double glazing. Extra coating applied to glass to improve solar reflection and thermal value. Will cost approximately 10% more than double glazed quote. Using an 8.8mm laminated pane. Will cost approximately 10% more than standard double glazing. Outer pane chemically coated to react with rain water and make it viscous (sticky) and therefore carry more dirt away with it. It also activates to allow water to run off quicker. Will cost approximately 10% more than standard double glazing. Stippolyte and Satinovo (sandblasted) designs most popular. Will cost approximately 5% more than standard double glazing. Glass is toughened through heating, which means it breaks into safe chunks when broken, not dangerous shards. This is used in doors and windows near doors or near ground level. Will cost approximately 5% more than standard double glazing. One pane in glazed unit is two pieces of glass laminated together for extra strength. Will cost approximately 15% more than standard double glazing. We can apply 9mm lead in a variety of designs (diamond/square/custom) to our glass for a more traditional look. We can either put bars inside the glazed unit or at a higher cost, outside the glass on both inside and outside to match the frame. Our units can also come with blinds inside the glass. The easiest way to understand how efficient glass is, is by thinking of it as a ‘heat mirror’. The more effective the glass, the more of a ‘heat mirror’ it is, stopping heat loss by keeping heat inside the house but also keep heat out preventing over-heating. 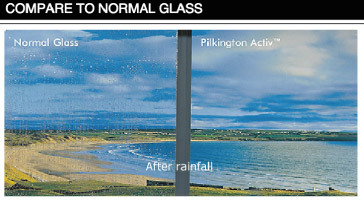 Self-cleaning glass reacts with rain water making it viscous, carrying away dirt with it. Self-cleaning glass still needs cleaning, just less than standard glass. What’s the difference between Warm edge composite spacer bars and metallic spacer bars? Metallic spacer bars conduct the cold easily and cause condensation around the inside edge of the window, which can lead to water gathering inside and damaging plasterwork. Many companies still use metallic spacer bars as they are cheaper. Warm edge composite spacer bars dramatically improve insulation levels and raise energy efficiency ratings. Our windows and doors are all fitted with modern composite or ‘warm edge’ spacer bars as opposed to the inferior metallic spacer bars. Are the sealed units air-filled or Argon-filled? All our windows and doors are fitted with argon-filled double/triple glazed units as opposed to air-filled sealed units. This is important for thermal efficiency because Argon is a noble gas, which doesn’t allow heat to pass through it as easily as normal air does. This means that the windows/doors don’t lose as much heat as others might, meaning a smaller carbon footprint and lower energy bills. We have even fitted Krypton-filled glazed units for even better thermal efficiency. A U-value is a calculation that tells us about the insulating properties of a window or door. The lower the U-value, the better insulation the product provides. The frame (uPVC, timber effect, or aluminium) and the glass have their own U-values. Different specifications of frame and glass have different U-values eg. solar control glass has a lower U-value than standard double glazing. 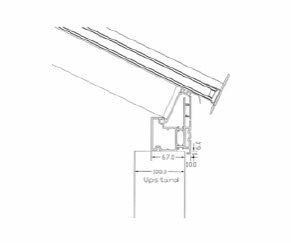 When the U-value of the frame and glass are combined, an overall U-value can be calculated, which is then used to comply with Building Regulations requirements. All our products comply with Building Regulations U-value requirements as standard. Sometimes an architect will require a particularly low U-value to achieve an overall thermal rating (or ‘SAP’ calculation) for the building they are designing. In this case, we must upgrade the product and glass specification to reduce the U-value. How is an ‘Energy Rating’ calculated? A Window Energy Rating (WER) is calculated using three criteria. Air draught – how much air can pass through the window/door when closed (the less, the better). Solar gain – how much heat from outside is transferred inside (the less heat allowed in, the better). Solar retention – how much heat from inside is kept inside the building (the more kept in, the better). Window Energy Rating is measured on a scale from A-G with A being the most energy efficient. Trickle vents are slots that are cut into the top of windows and doors to allow air to flow in and out of the building for ventilation purposes. These have now become compulsory on all new builds and extensions to combat damp. You need to have trickle vents fitted into a window/door if that window/door is being fitted into a new opening i.e. it is not a replacement. This is a standard requirement unless there is a manual heat recovery system or equivalent in the property. Smart vs Schuco, which is most cost effective? Generally, Schuco products are around 25% more expensive than Smart ones. Origin products are somewhere in between. What are ‘timber effect’ or ‘timber lookalike’ windows and doors? Timber effect windows and doors replicate the aesthetic of traditional timber windows. They are a cost-effective uPVC alternative to natural wood and require less maintenance. They will not bow or warp like real wood and never require repainting. The below are estimates and won’t always be accurate. They are just to give customers an idea of what product might be affordable. – Going from single colour aluminium to dual colour (different colour inside than outside) increases cost by about 8%. – Particularly large glazed units (generally in sliding doors or fixed panes) that are over 4 square metres are more expensive. 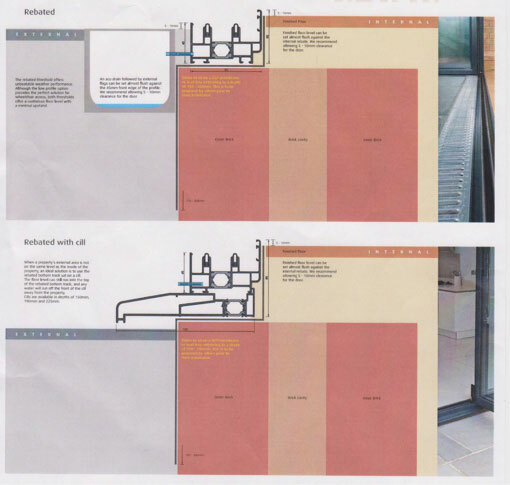 Do I need planning permission for a conservatory/orangery/Loggia? Generally, it depends on how far the proposed structure extends from the main property and whether your property is detached or semi-detached/terraced. If you live in a detached house, you can extend 4 metres from the house without planning permission. 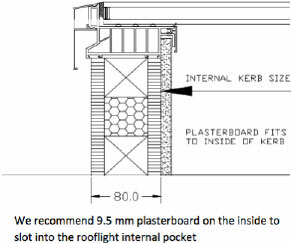 If you live in a semi-detached or terraced house, you can extend 3 metres without planning permission. If you do want to extend further than this and planning permission is required, we can manage this for you at an extra cost of £500. Your project will probably take longer, due to the time it takes for the council to grant planning permission. Does DWL undertake all the building work? Yes, in partnership with our builders, we manage it all from start to finish. All you need to arrange are painters and decorators, and which flooring you want. What’s the difference between a conservatory, orangery, and a Loggia? All three are different types of glazed extensions. We can use the same uPVC/aluminium/timber effect window, door, and roof products in all three types. For example, exterior decorative cornices and the LivinRoom product which creates the internal soffit with downlights can be used on all three. The difference between the three is in the columns and corners. A conservatory generally has no columns and the window frames are joined together all the way around. It becomes a ‘modern orangery’ when brick columns or corners are introduced to the structure. In addition to this, if a brick parapet wall above the windows and doors is introduced, this is a ‘traditional orangery’. It becomes a Loggia, when the columns and corners are aluminium clad Loggia columns. How long does it take from placing the order to the completed installation? It depends how busy we are at the time and the products used in the conservatory/orangery/Loggia. Aluminium windows and doors for example take longer than uPVC or timber effect ones. Generally, we expect the whole process to be completed in around 12-16 weeks. How much do opening vents in the roof cost? Suppliers can change prices but generally, manual opening vents with a pole to open are £480 each inc VAT and electrically operated vents with a switch on the wall are £680 each inc VAT. An additional rain sensor which causes the vents to automatically open and close when raining is £240 inc VAT. What do I need to prepare for one of your skylights? Which is more expensive, sliding doors or bi-folding doors? Sliding doors are generally more expensive than bi-folds. Supplied and fitted, bi-folds work out around £1400-1700 per pane inc VAT. Sliding doors are around £1400 – £1700 per metre in width. Sliding door prices can skyrocket if the glass units become very big. For example, each sash on a bi-fold door can only go to 1200mm wide x 3000mm high, however on sliding doors, each sash can be anywhere up to 3000mm wide x 3000mm high. What are the pros and cons of bi-folding and sliding doors? Bi-folds allow you to open up the back of the property to allow a seamless transition from inside to outside – great for entertaining. However, when closed, there can be more vertical frames, obstructing the view out to the garden. Some customers think that the British weather will not allow them to open the doors fully often enough so prefer to enjoy the less obstructed view through closed sliding doors. However, sliding doors don’t allow you to have an opening that is the entire width of the doors. Sliding doors are more complicated as the weight per pane (Kg) determines the maximum size. For example, Smart sliding doors can go up to 250Kg per pane and Schuco can go up to 300Kg per pane. Which different door systems are available? Can I achieve a threshold where my flooring finishes flush with the top of the door frame? If you have any further questions which are not answered above, contact DWL today. Call us on 01795 383 688 or e-mail us at info@dwlwindows.co.uk.